These are such a simple and delicious snack. 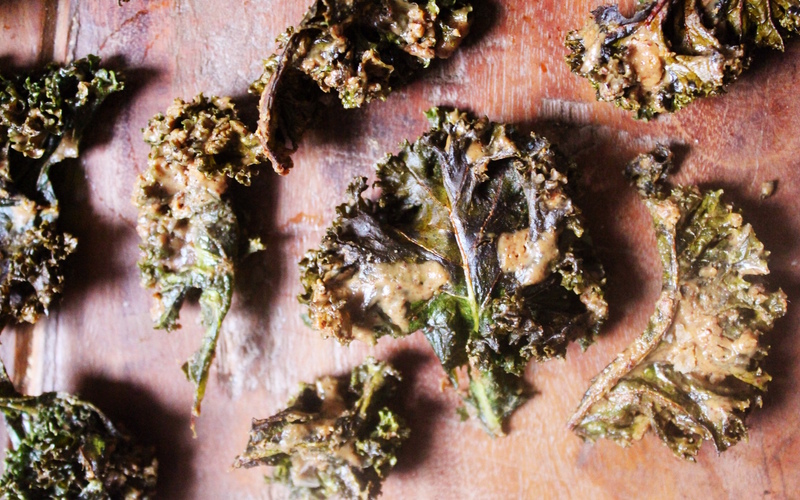 When made right, kale chips are just gorgeous. The most common mistake is that people cook them at too high a heat, for too short, and they end up soggy in some places and burnt in others. This method is my fool proof way of making perfect kale chips every time, with an extra special flavouring this time- almond butter! These aren’t quite savoury and not sweet either; the perfect in between and great for all occasions! Start by removing all of the kale leaves from their stalks, they’re too fibrous and chewy! Add them to a roasting tray lined with parchment paper. Melt together the almond butter and coconut oil and then whisk it until you have a smooth, even mixture. Drizzle the almond butter mixture evenly over the kale and then use your hands to mix it all around and massage the kale for about 2 minutes. This is so important, it makes sure the chips will be evenly seasoned and gives them a much better texture. Sprinkle generously with coarse salt and roast at 150’C for 25-30 minutes. 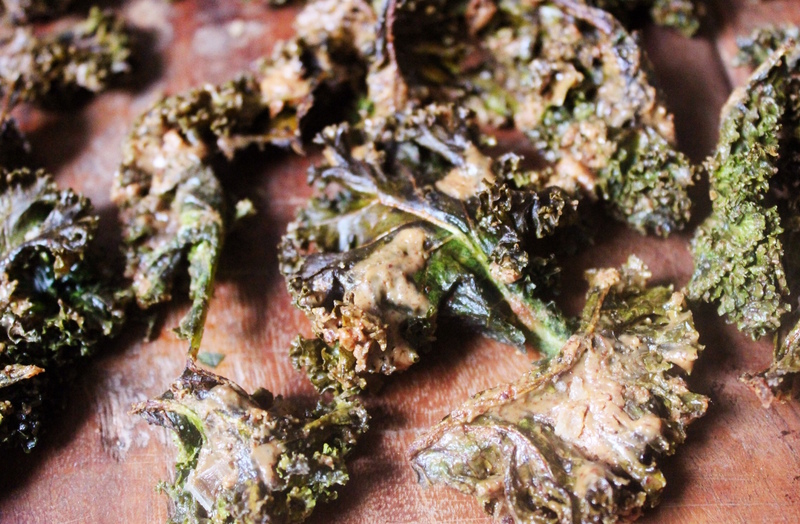 This is a little longer than I would usually cook kale chips(20 minutes) because of the wetness of the almond butter so make sure to check on them after about 15 minutes as depending on your oven they may cook quicker or slower than expected. Take out, let cool and serve. oh man I’m definitely going to need to try these! 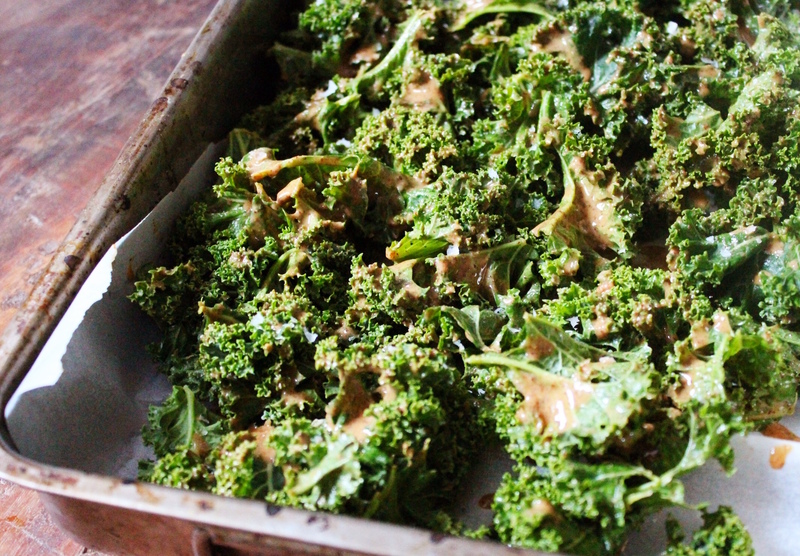 I love almond butter and i love kale chips! Never woyld have thought to combine them :). Thanks!! !